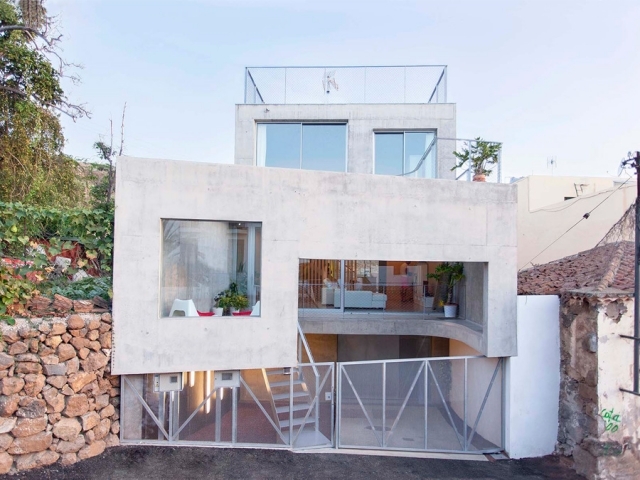 The project of this house situated in Tenerife, Canary Islands, is a hard-won synthesis of a tropical, volcanic environment, an unusually narrow lot, an eccentric client brief and the architect's own academic ideals. 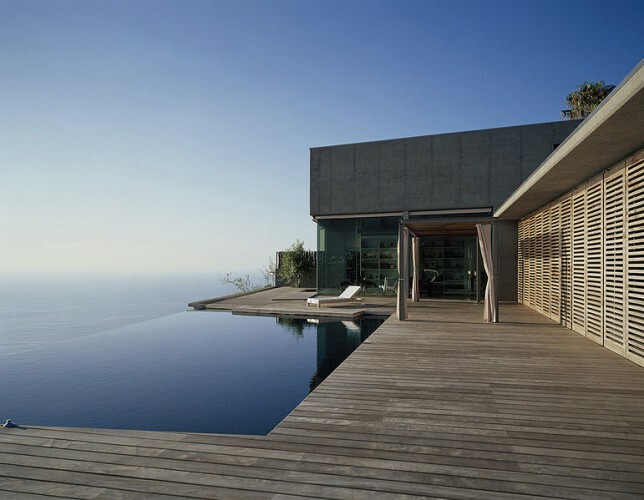 ...continue reading "Casa G by Architect Esaú Acosta, in Tenerife"
The Bioclimatic House by Ruiz Larrea and Associates has a wind farm right in its back yard, so when it came to the design, high winds had to be accounted for. 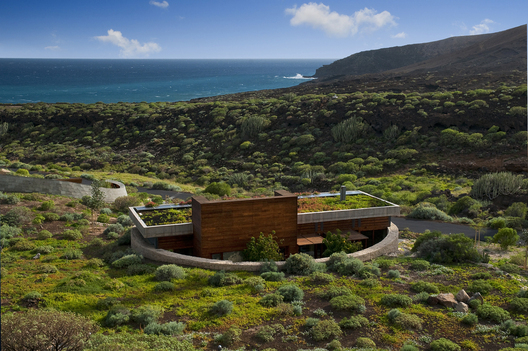 Located next the to wind park of Granadilla (Tenerife, Canary Islands) at the Instituto Tecnologico y de Energias Renovables, the home is one of 25 Bioclimatic Houses incorporated into the research center. 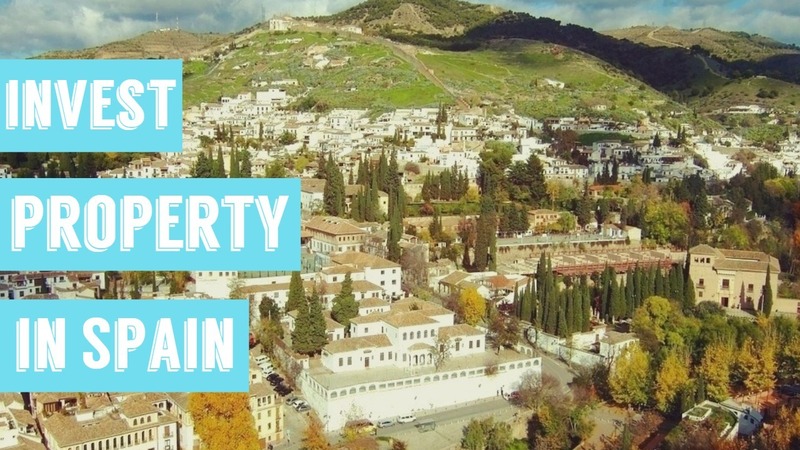 The home is surrounded and shielded by a circular wall of volcanic Tosca stone, and has no heating or air conditioning, relying completely on passive strategies to keep the interior warm or cool depending on the season. Insulation, weatherproofing, and thermal mass all help to retain or remove heat when necessary. Natural ventilation provided by cross breezes, the stack effect, and louvered openings encourages air to move through the house. ...continue reading "Bioclimatic Dwelling in Tenerife by Ruiz Larrea y Asociados"
The basic idea of the project consists in the location of a monolithic concrete and glass volume over a timber platform located at the edge of a cliff in order to enjoy the amazing view of the 300m cliff, a 1000m long black sand beach, mount Teide and all the north coast of Tenerife island (Canary Islands). 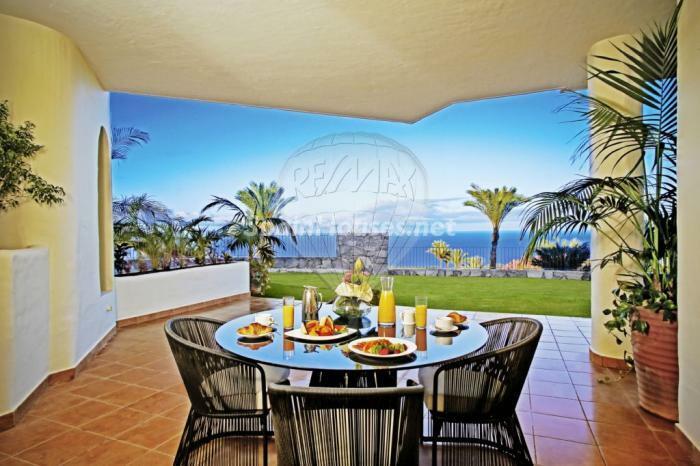 ...continue reading "Architecture: House at Jardín del Sol, Tenerife"